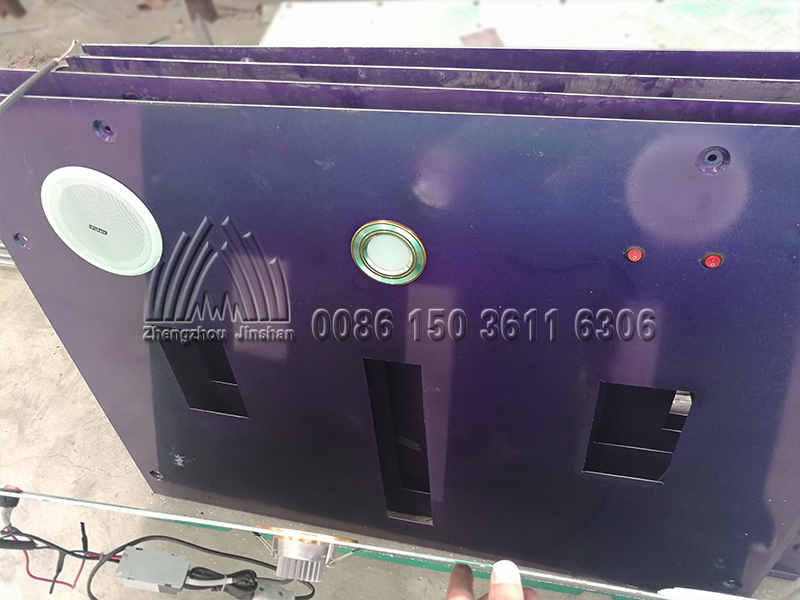 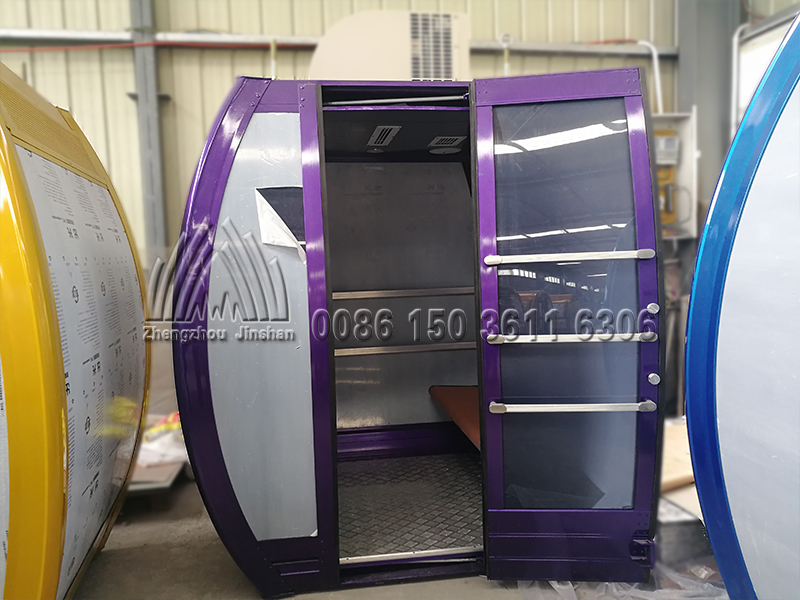 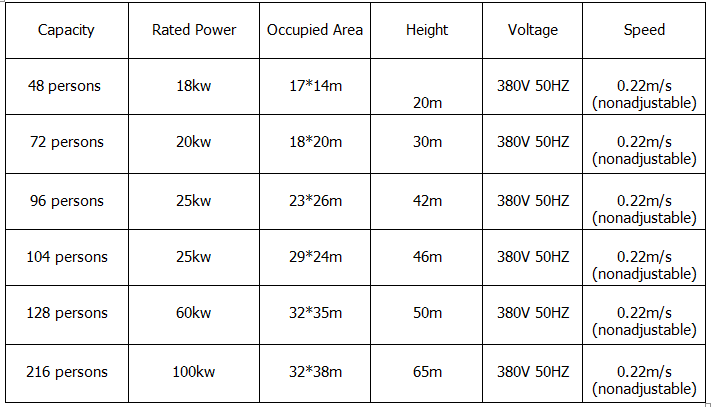 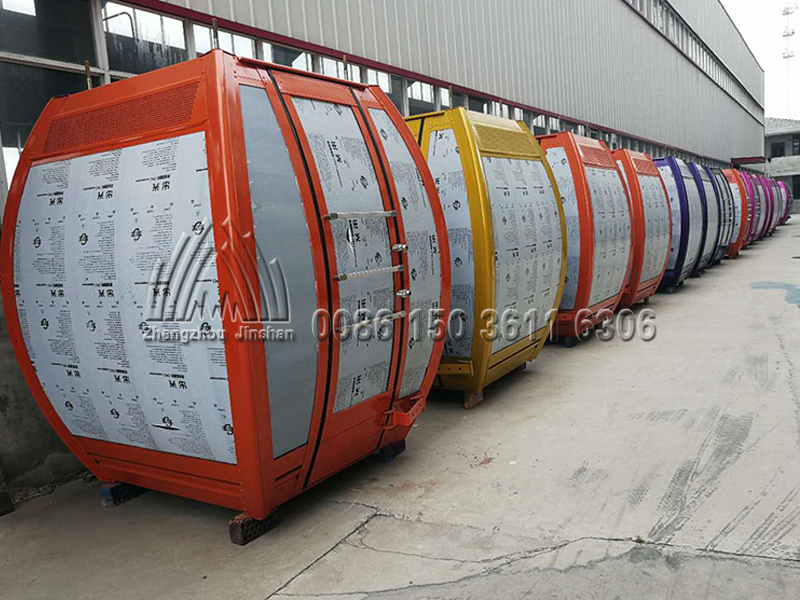 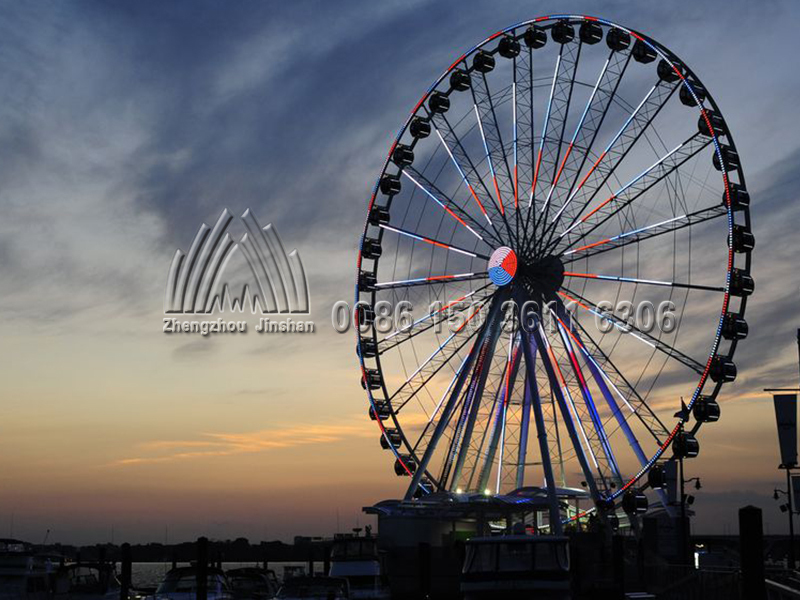 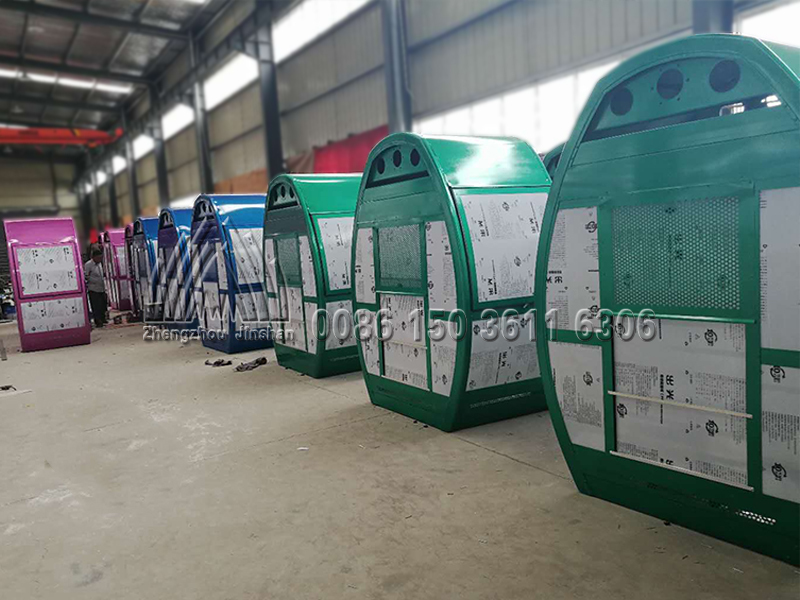 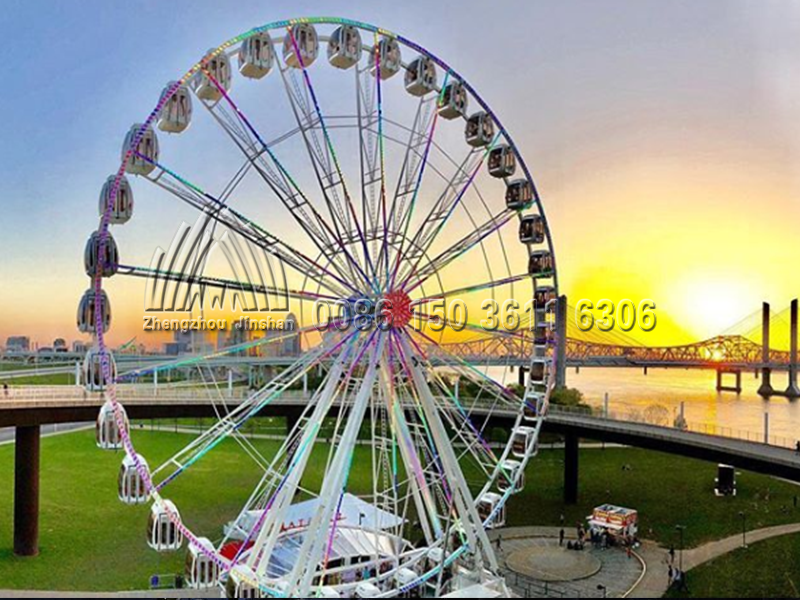 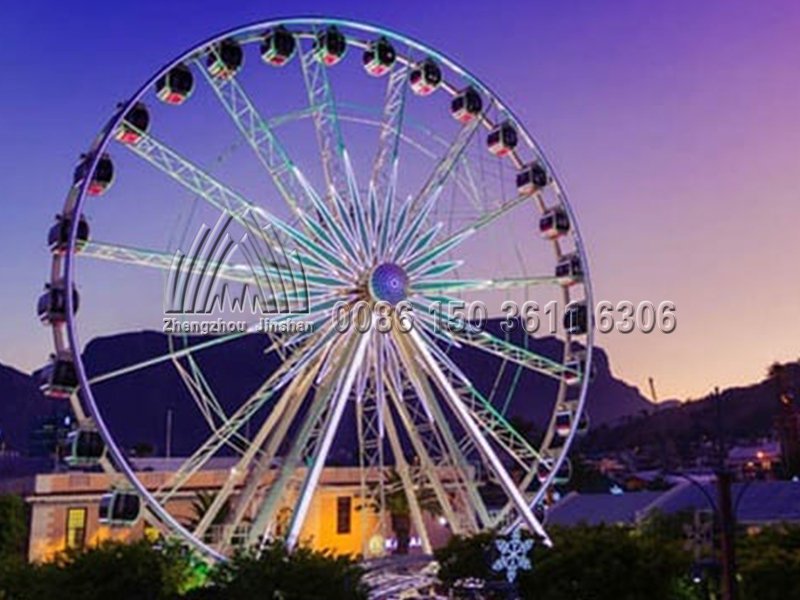 According to the difference of operation mechanism, the Ferris Wheel can be divided into three types: Ferris Wheel, Spotless Wheel and Observation Wheel. 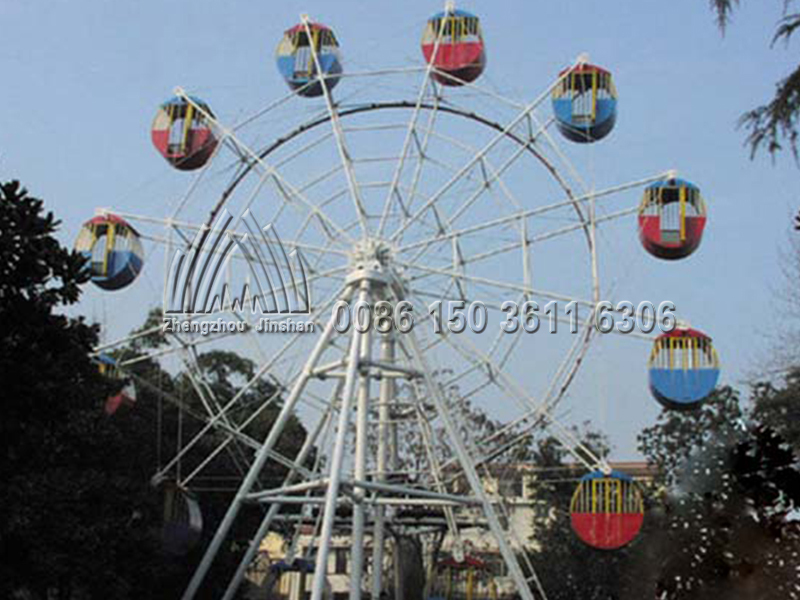 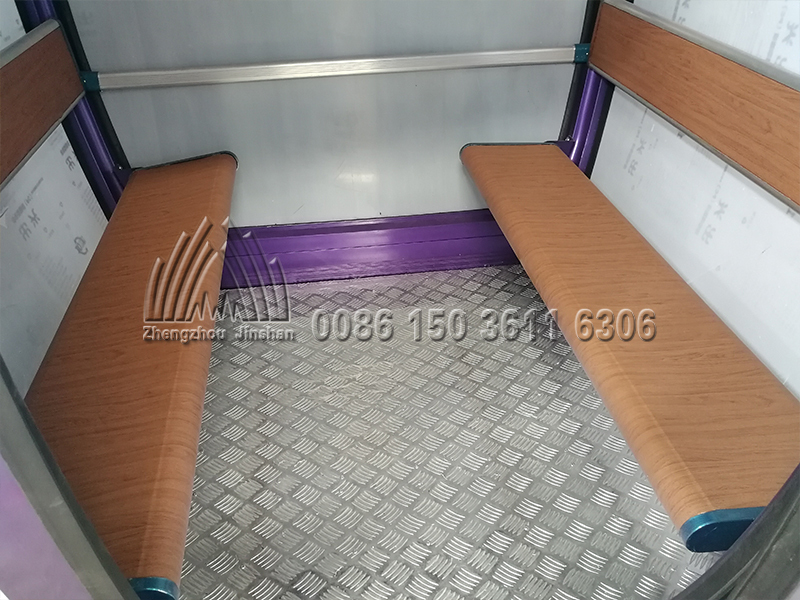 The cabins of gravity Ferris wheel are hung on the wheel to maintain the horizontal sliding shaft by gravity. 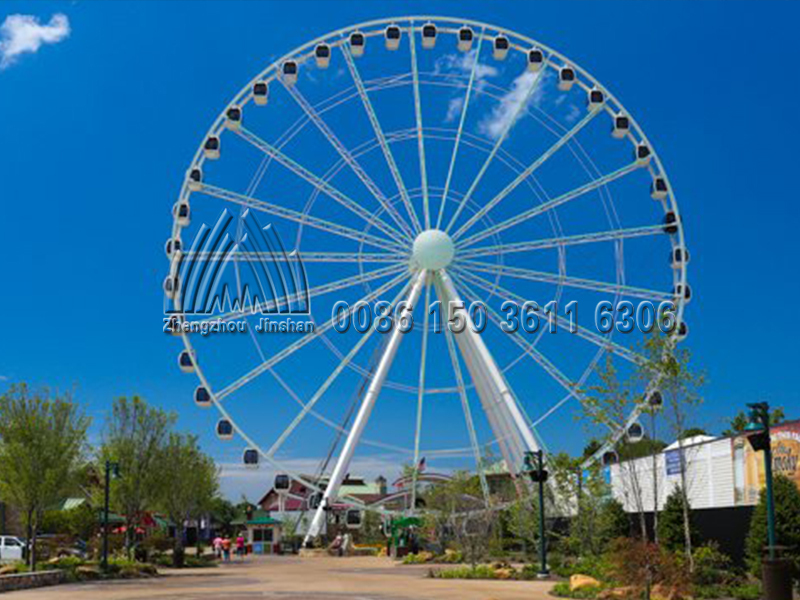 The cabins on the observation wheel are suspended outside the wheel, which requires more complex linkage-like mechanical structure, and can be adjusted synchronously with the position of the cabins to keep it horizontal. 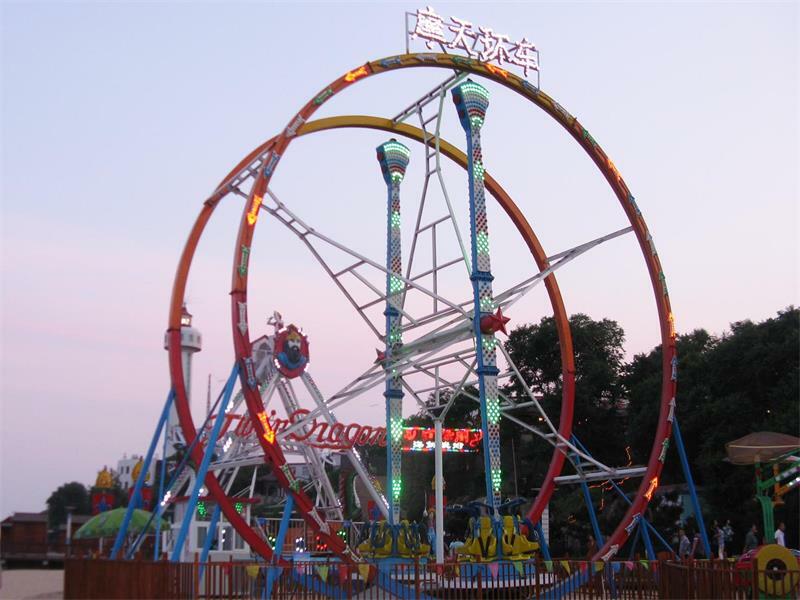 The working principle of the Ferris wheel is to reduce the speed of the electric motor through the reducer to convert the high speed and low torque to the high torque and low speed mechanical power, and transfer it to the wheel disk through the intermediate mechanism with both elasticity and certain strength, such as the tire, to make it rotate at low speed.